The tragedy in Paris is unfortunately unsurprising anymore. I must admit that upon first hearing the news, I thought that Charlie Hebdo was a person, some notorious cartoonist with a death wish and huevos the size of the Notre Dame. I’d never heard of the satirical paper, or seen their controversial cartoons. Then I looked them up. And laughed (after availing myself of the translations). They weren’t all funny, or all in the best taste. But satire skates close to the line. Sometimes it is stupid, or mean, or tactless. But who cares? There is no image that could drive me to kill. I’ve watched Michael Bay movies all the way through and a stiff drink has sufficed to stymie any ill will I had toward the man or his actors. 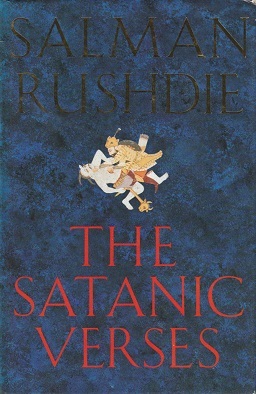 I think about Salman Rushdie, a man who simply wrote a book that incidentally encouraged the leader of a country (the Ayatollah Khomeini) to call for his death. Did he read the book? Did any of them that would condemn him to death read it? I read it. It was quite good. I think of children with guns. Men in black masks having tantrums. People whose faith is so easily injured that they torture and kill. A fight in the schoolyard over drawings. I think of a poverty of intellect. We can’t evolve as a group of cultures if we are afraid to say things to or about each other. If we can’t express ideas, we won’t progress. We will settle into a swamp of circular rhetoric, made for a 24-hour news cycle, mired in the useless political correctness of people who would rather not face things. The idea at the center of this is not free speech, directly, but the problem of extremism. We need not consider seriously the issues that insane people have with cartoons, as long as their soapbox freely dispenses ammunition. We can’t make their focus our own. Have the debate but leave the guns at home. I don’t want to feel as though these events should be expected, or to expect the obligatory questioning of free speech that follows. I don’t want to have to pore over the message boards that argue back and forth on the question of Islamic reformation and the true seed of that religion itself (but I will, every time I will). It doesn’t matter what I want though. This is the way it goes forward. Some will venture out with pens held high, controversial cartoons held aloft, in the streets of Paris, maintaining the rights of those nonviolent acts. Others will cower behind their editors and producers, fearing reprisal for printing something silly, cordoning themselves off with rote claims of journalistic integrity. Others still will react just oppositely the righteous villains, different flags waved, different deities praised, same weapons. Our progression into the murky waters of humanity’s future depends on things being said before it is okay to say them. Comedians and satirists occupy this realm more readily than do any others. We rely on them to voice things left unsaid by everyone else. Before long, these “shocking” things become subsumed into the culture and we are better off for it. This is not to say that everything that comes from that stage is worthy of this distinction. Much of it is not. We need unafraid people to say the difficult things or else the evils of this world never get flushed. Rushdie recently said, in response to the Hebdo killings, “Religions, like all other ideas, deserve criticism, satire, and, yes, our fearless disrespect.” I agree. Existentialism enjoyed a rather bloodless conversation and so should religion. My pen is in the air, so to speak, and I support the continued existence of brave comedians. Cheers to those who do not cow to the threats of humorless ideologues. There are too many magazine covers to choose from, so go see for yourself: Charlie Hebdo.